An old saying that the greatest achievements were at first only dreams could well apply to Ethiopia. Some Ethiopians are dreaming big. Our correspondent visited the Ethiopian town of Harar and tells the story of dreamers who see adventure, excitement, and a possible tourist bonanza where others see only rocks and bones. Harar is considered Islam's fourth holiest city. It boasts 82 mosques and more than 100 shrines. Its medieval Old Town has been recognized by UNESCO as unique in East Africa. The surrounding region is turning out to be a treasure trove for archeologists, anthropologists and speleologists, or cave explorers. It is not far from where remains of the oldest known human ancestors, Luci and Ardi were found, shedding light on the origins of humanity. But as a tourist destination, these sites are practically off the map. Harar is a day's drive east of Addis Ababa so getting there can be an adventure in itself. That hasn't stopped dreamers, like Italian scholar Marco Vigano, from looking past the obstacles to the potential. "It's the cradle of humanity," said Marco Vigano. "If we don't show the people more than Lucy. It's the bits that come after Lucy that interest us now, and there is so much to be discovered." Discoveries are a regular occurrence here. A few kilometers outside Harar, a guide leads visitors up a mountainside to a cave chiseled by the Harla people who lived here for centuries. He splashes water on the outside wall, and it seems to come alive, revealing ancient secrets. "The people were living with goats and cows. Yes, you can see horns." 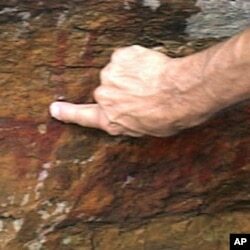 These 500 to 1000-year-old cave paintings are young compared to the skeleton of Ardi, an upright hominid more than four million years old - discovered in Ethiopia's Great Rift Valley . The area is a two-day drive from Addis without much in the way of inns or guest houses. Also a nearby volcano erupted four years ago, ripping open a crack in the Great Rift Valley. Scientists say it's getting wider every year and the area could eventually become a new ocean. 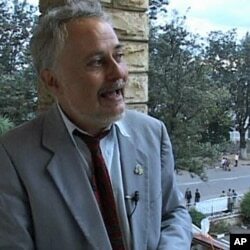 Professor Ahmed Zekaria, a cultural anthropologist at Addis Ababa University, says Ethiopia still holds many secrets. "The Rift Valley gives you a scenario of human evolution," said Ahmed Zekaria. "Paleontologists are telling us every season they're coming with stones and bones that catapult us back into the nebulous past." Scientists say Ethiopia is a work in progress, anthropologically and geologically. If they are right about that new crack in the earth, this landlocked country could become a beach resort within, say, a few hundred thousand years.